The family of Public Solicitor Jimmy Wala Tamate was held at gun point by five armed criminals at their five mile resident in Port Moresby yesterday afternoon. 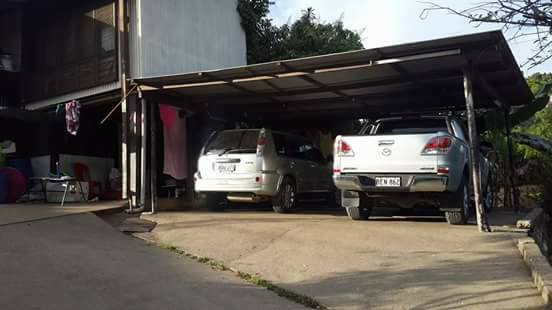 The criminals drove into the residential area in a white Toyota Harrier just after Mr. Tamate arrived from work and held him and his family at gun point. They took his personnel items from his vehicle including a mobile phone, tablet,bank cards, keys to the Public Solicitors office and some court files. Also a cash of K1000 was taken from his father's bag who was sitting outside the house. They attempted to steal Mr. Tamate's vehicle but they were unable to reverse it. They fled the scene as soon as the neighborhood came to assist. Police were alerted but failed to turn up at the scene. The family was traumatized of what has transpired.